We did not include the email “info@chevron.com”, as we think this is likely sent out from an anonymous server where they can fake any address where the email is sent. As usual, Christmas is around the corner, so the scammers are out to scam your hard-earned money so that they can pre-order the ham and turkey for the Christmas celebrations. Save your money and keep them in the bank. 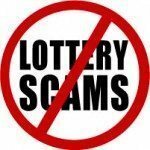 The lottery is fake and you are better off spending the money on your own ham and turkey than sending it to these scammers.